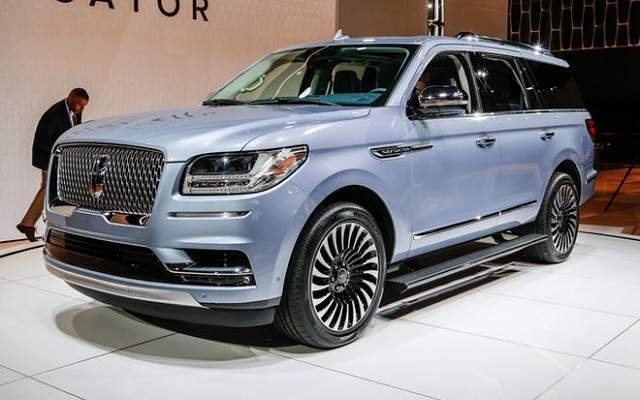 The fourth generation of this legendary model just came, so we don’t expect changes for the 2019 Lincoln Navigator. The iconic SUV has been around for more than two decades. We saw numerous versions of it, but the new one comes better than ever before. 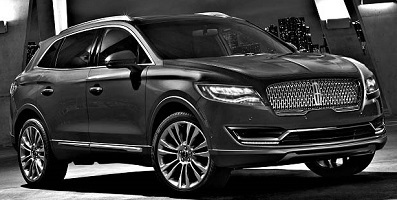 Engineers from Lincoln put a great effort on improving pretty much all aspects of the SUV. So, there is a completely new platform, new styling, interior design etc. Of course, there is a new engine as well. A large V8 was dropped some time ago, while the V6 that came with a mid-cycle refresh of the previous generation has been revised and now offers even more power. Considering all these changes from the last year, it is clear that you shouldn’t expect bigger modifications for the 2019 Navigator. It will come pretty much the same, somewhere late in the year. Just like we’ve mentioned, this SUV is pretty fresh. It came completely redesigned last year, with numerous changes. 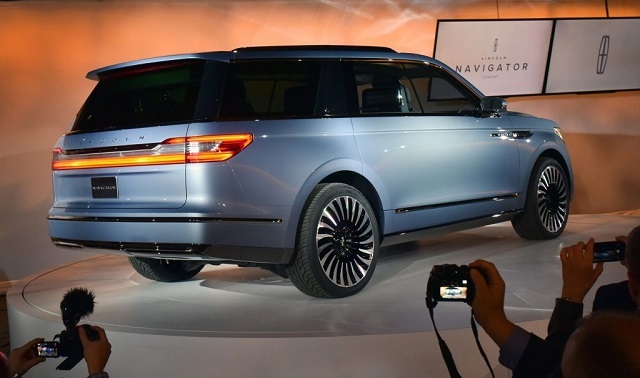 So, it seems pretty logical to see 2019 Lincoln Navigator without bigger changes. First of all, there is a new platform. This SUV has been developed alongside the iconic F-150, so it adopts the same lightweight chassis and all-aluminum body. Compared to the legendary SUV, if features the same four-wheel independent suspension, but comes with a redesigned rear suspension layout in order to provide better comfort. With such huge weight saving, you can count on far better dynamics compared to the previous generation. Sheet metal is also completely new. The styling now looks far more attractive, thanks to the brand’s latest design language. The same thing is on the inside, where the new cabin raises overall comfort on a much higher level. Finally, a list of standard equipment is pretty impressive. 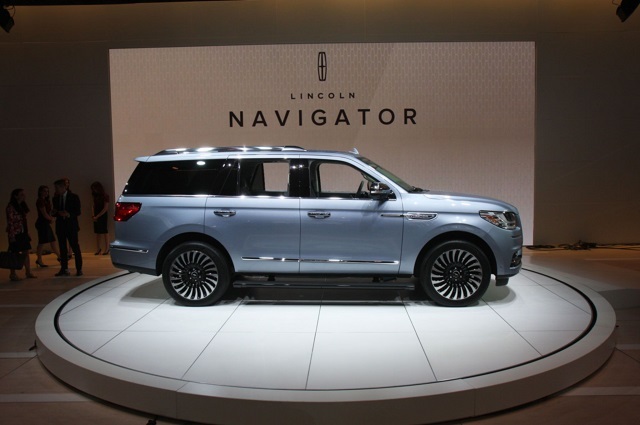 The 2019 Lincoln Navigator will be organized in four trim levels. The base Premiere comes with standard equipment like 20-inch wheels, LED headlights, a trailer towing package, tri-zone automatic climate control, 10-inch touchscreen display with the Sync 3 interface, smartphone integration, navigation, a rearview camera, blind-spot monitoring with rear cross-traffic alert, and a 14-speaker audio system. The next one is Select, which comes with bigger 22-inch wheels. It also adds things like upgraded leather upholstery, a heated steering wheel, a surround-view parking camera system and a wireless charger. The Reserve trim adds exterior welcome lights, 24-way power-adjustable ventilated front seats, illuminated seat belt buckles, panoramic sunroof etc. Finally, there is a Black Label version, which adds numerous safety features like adaptive cruise control, forward collision mitigation with automatic braking, a head-up display, lane departure warning and intervention, an automated parking system, as well as many other things. Three years ago, the famous SUV dropped V8 engine in favor of a smaller and much more efficient V6 EcoBoost unit. The new generation continues with the same engine, which has undergone some revisions for this occasion. The overall efficiency is much better, including a greater total amount of power. A 3.5-liter V6 now delivers around 450 horsepower and 500 pound-feet of torque, and comes with a 10-speed automatic transmission. Along with the excellent chassis, this huge amount of power provides class-leading towing capabilities, but amazing on-road performances as well. The 2019 Lincoln Navigator won’t feature bigger changes, so we expect it to come somewhere late in the year. When it comes to the price, base models will go around 73.000 dollars. Competition is tough. There are models like Mercedes-Benz GLS, Infiniti QX80, GMC Yukon, Chevy Suburban, and Cadillac Escalade as the biggest rival.